How does your period affect your athletic performance and exercise routine? PSA for those who are using an app to track their most fertile days. If you think getting your period on Earth is hard, try floating around in space. She’s the worst guest, until she stops visiting. Did You Know Our Grandmothers Wore Menstrual Belts?! Miki Agrawal, CEO and Co-Founder of Thinx talks periods, the history, and the future of female hygiene with Huffpost Rise Host Cat Greenleaf. Should You Worry About Spotting Between Periods? Get the facts about why spotting happens, and what you should do about it. 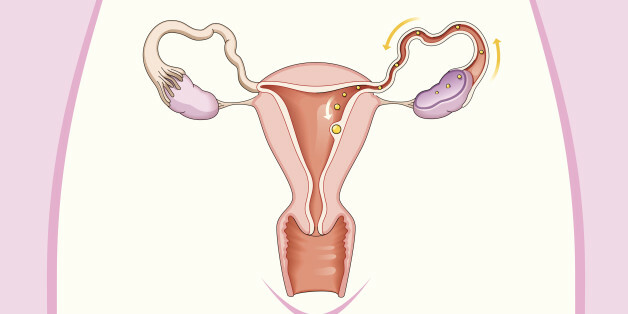 While menstrual cramps can be painful, you can take many routes to relief. When I was 27, a guy I'd been seeing told me he'd noticed a lump inside me. The word lump has an instant and visceral connection -- you might as well just say "cancer." I figured he had far more knowledge of vaginas than I did. Terrified, I went to the doctor. It turned out to be my cervix. It's ironic, isn't it? From our "tender" preteen days, most of us couldn't wait until that first sign of womanhood. We couldn't wait to buy -- and wear -- our first training bra. Menopause is freedom. It's been 10 years now and I have never looked back. I face forward with a confidence that every day will be the same; that my mood will be stable and nothing will ruin my pants or my plans.